Global HeavyLift Holdings Calls Boeing Announcement to End C-17 Production in 2015 "Irresponsible"
Bloomfield Hills, MI 19 September 2013 (eMOTION! REPORTS) - Global HeavyLift Holdings, Inc. (Defense Logistics Agency DLA listed) Managing Director Myron D. Stokes, who with colleagues in the academic, industrial and governmental sectors has been involved with Commercial variant Boeing C-17 (BC-17) Globemaster III business development at the original direction of SECAF Dr. James G. Roche, is calling Boeing's announcement to end production of this superlative strategic/tactical airlifter with no operational peer or near term replacement claiming lack of DoD orders and FMS interest irresponsible. "Boeing management is fully aware of the not just strong interest being displayed by a multitude of foreign governments which now include Algeria and Israel, but continuing FMS orders or LOIs, not the least of which is India's 10 with an option for 6 more. And given the current, largely unpredictable security environment created by China's clearly aggressive stance to become the dominant hemispheric power, India, in re-assessing its ability to rapidly deploy division strength units to any point along common borders, can utilize up to 30 C-17s," he said. Stokes says Boeing leadership is also acutely aware of extraordinarily positive potential of business deriving from USAF directed conjoined efforts between Boeing, Global HeavyLift and strategic partners in academia and industry to develop a US/NATO controlled Heavy and Outsized industry (currently dominated by Russia/Ukraine with AN-124) HOM described as the movement of goods too large and outsized to fit in any door of any 747 or similar sized freighter, utilizing the near magical capabilities of C-17 relative to max cargo, short field take-off, self unloading and the ability to back up a 2% grade. "No other aircraft in the world has these comprehensive capabilities, and the USAF has nothing to replace it short or mid term. And, considering Globemaster's hyper-utilization owing to a near 100% mission success rate and indispensability as a result of the Afghanistan, Iraq and an uptick in humanitarian missions globally, they are being worn out at levels approaching that of the venerable C-141 during the Viet Nam conflict." Stokes further notes that asserting irresponsibility on the part of Boeing, and for that matter the US Air Force, is knowing with certainty that shutdown of the C-17 plant in Long Beach ends this country's ability to build wide body strategic airlifters critical to projection of power anywhere on the globe, in a world wherein asymmetric/conventional warfare exists concomitantly and the probability of new conflicts has risen exponentially. "Boeing is effectively ceding provision of strategic/tactical airlift aircraft to AIRBUS with its vastly inferior A400M, a swept wing, turboprop aircraft whose design capacity has been reduced from 37tonnes to 25 due to overweight as it begins flight testing. It is unable to carry a main battle tank, and struggles to accommodate light attack vehicles such as Stryker," Stokes says. "Moreover, and without rancor, it can be rightly called a higher cost C-130J, and whose performance barely exceeds that of the over half century old Hercules. We are nevertheless aware of elements within Congress and within the USAF, who have actively pushed for the elimination of Boeing C-17 and accommodation of AIRBUS overtures to provide 200 A400Ms soonest. These individuals, which even include Boeing personnel, have been compromised by the European company's lobbying efforts, and have no regard for the damage to US national security and economic security they will invoke. The extreme damage to the US defense industrial and the industrial base, which are one and the same, is well articulated in the 2005 Department of Commerce study outlining the negative impact on this country's economy as a result of C-17 production line closure. "Global HeavyLift Holdings and Boeing itself recognizes that extensive business case developmental data which includes case studies with Exxon-Mobil, Conoco-Philips, DuPont, Black and Veatch among other corporations, countries and agencies, support 100 plus BC-17s and a proposed aerial firefighting variant to replace an aging, increasingly dangerous fleet of firefighting aircraft with an average age of 42 years, adding a least another 50 C-17s to be deployed in emergency response duties worldwide. "At the very least, Boeing senior management is being disingenuous, as are elements of the US Air Force, and at worst irresponsible, knowing that ceding strategic/tactical airlifter production to AIRBUS is the beginning of a short march to Boeing being relegated to the role of minor player in overall defense, and the USAF rapidly becoming unable to fulfill its Constitutionally mandated role of national security." Stokes says that Global HeavyLift and others constituting an industrial base preservation team, have worked incessantly to maintain production of C-17 and the existence of Boeing itself. "We will continue to do this," he said, "And we are prepared now to provide another RFP, backed by up to USD 5BIL in bankable instruments, for up to 30 C-17s. 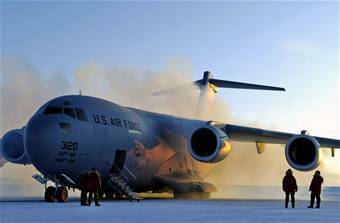 "Boeing", he says, "Needs to rethink its position regarding C-17, and do so now." Global HeavyLift Holdings, Inc., a Delaware incorporated, Michigan-based, Defense Logistics Agency (DLA) entity, was founded in 2002 with a directive to bring together the intellectual resources from within industry, government and academia to craft architecture for infrastructure of a new globe spanning industry: A blueprint, if you will, without which no infrastructural project of this magnitude in history, as applied to the Erie Canal, America's ( or any developed country) railroads, the Civilian Nuclear Program or the US Space Program, has come into being. Implementation of this initiative will culminate years of unprecedented interaction and cooperation between industry and government; required owing to the need for the regulatory power and financial resources of governments, conjoined with expertise and capital from the private sector. Ultimately, the project will be a factor in changing the face of global transportation infrastructure, inclusive of a strong logistics role in government and private space programs, while simultaneously providing much needed economic stimulus. Current plans call for the 2014 initialization of support operations in the US and abroad. 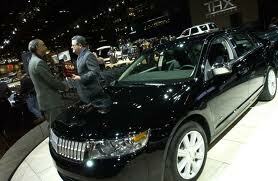 ﻿﻿﻿﻿ Los Angeles, CA -( LA Auto Show ) November 28, 2012 - Veteran Automotive Journalist/Analyst, ZINTRO Expert and eMOTION! REPORTS.com Publisher Myron D. Stokes, a former Newsweek, Newsweek Japan, Newsweek International special correspondent and Interim Bureau Chief, will be available for interviews covering a wide range of automotive/aerospace industry subjects inclusive of product technology,emerging markets, crisis management, the short sightedness of offshoring manufacturing capacity and the technology associated; a re-emergent US auto industry, and the economic and national security implications of failing to protect and secure the country's ability to manufacture things of value. "The US cannot exist as as consumer/service economy in the manner of Las Vegas," says Stokes, "and expect to maintain its status, in symbiotic relationship with Great Britain, as THE world power economically and militarily." Moreover, Stokes is convinced, along with colleagues in the US policy shaping arena inclusive of the United States-China Economic and Security Commission, that US, European and Asian companies are at profound risk of losing virtually all control of manufacturing operations in China. Stokes has proven capable of discussing virtually every aspect of auto industry analysis with a particular focus on the China presence of western car firms. He can discuss the risk/benefit of such presence by GM, Ford, Chrysler, the Europeans inclusive of VW; and the Japanese car companies who have been declared for all intents and purposes "enemies of the state". Among other topics: whether the "bailout" of GM and Chrysler was really necessary and why Ford refused; the uncomfortable role that Wall Street played in creating a circumstance that made GM, Ford and Chrysler vulnerable to offshore takeover in the interest of short term gain. Stokes was directly involved in an effort to stop the declaration of GM bankruptcy through revaluation of global assets; coordinated with concerned European governments -excluding Germany - to prevent GM's attempts to offload Opel resulting in an intervention by those governments; and a very specific role in changing the circumstances under which the Jaguar/Land Rover sale to TATA would occur by bringing Mahindra and Mahindra back to the acquisition table in conjunction with one of the world's most powerful investment banking institutions working through Ford's then CFO. conveyed during an overseas call from Tokyo during the 1995 Tokyo Motor Show. It is now possible to reveal that the late Sir Alex Trotman approved Ford Motor Company's acting in this capacity following a lengthy interaction with Stokes during a Ford media program. On the aerospace side, a recent analysis of Boeing Dreamliner with specific focus on the issues of a nearly unprecedented conjoining of composites to metal within critical aircraft structure, induced a rethinking of this approach and questioned, as did a GAO analysis the viability, accuracy and appropriateness of FAA certification processes foraircraft extensively utilizing composites. (Google -Boeing Dreamliner Analysis). Stokes, along with national security strategist and Walsh College Academician Dr. Sheila Ronis, has been one of the strongest voices in advocating Boeing C-17 Globemaster III Long Beach production line continuance and preservation of over 250,000 core manufacturing positions in the US - when one correctly invokes Keynesian Economic Multipliers - of which at least 5,000 are in California. Potential interviewers will find it useful to google the following terms: -auto industry analysis - (10 of 47 million) -2010 Auto Industry Analysis- (1, 2, 3 of 12 million) -Myron D. Stokes, China Auto Industry Analysis- -Boeing, Myron D. Stokes - -Boeing Dreamliner Analysis- (number 1 result of 645,000)-Boeing C-17, Stokes-. -Richard Holbrooke's World--Deadra's Flight- -GM's Transition to China-. wife who recently succumbed to illness. He will be available throughout the media preview and during the public show. Changing of the executive guard: Dr Wolfgang Schreiber accepts the keys to an irreplaceable element of the Bentley historic fleet – W.O. Bentley’s own company car – from the current Chairman and CEO, Mr Wolfgang Dürheimer. (Crewe, United Kingdom 30 August 2012). 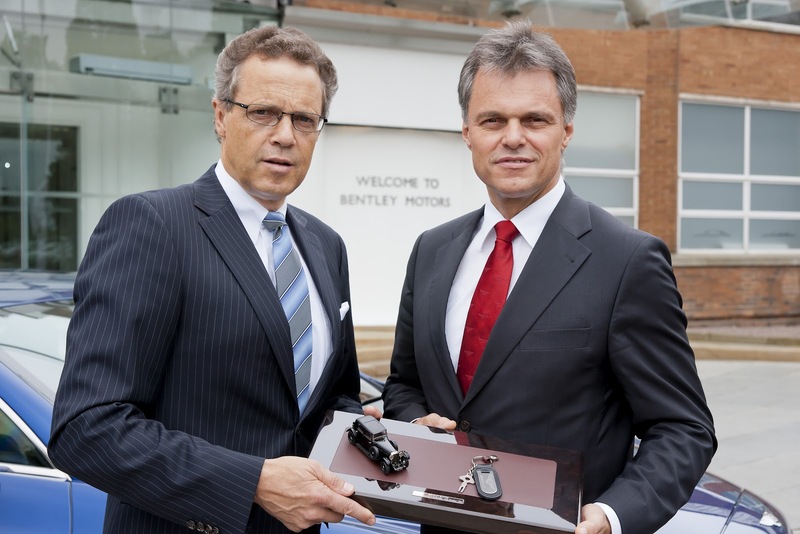 Signifying the official transfer of company leadership, Dr Wolfgang Schreiber accepts the keys to one of the company’s most revered cars – W.O. 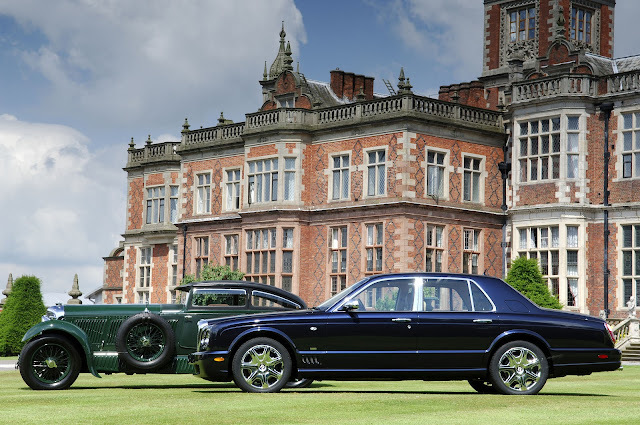 Bentley’s own company car – from the current Chairman and CEO, Mr Wolfgang Dürheimer. Dr Schreiber joins the Crewe-based luxury car company on 1 September 2012 and, as part of his new leadership position as Chairman and Chief Executive, claims the keys to the 1930 8-litre saloon, still driven to this day. This car represented the pinnacle of founder W.O. Bentley’s engineering career, benchmark and class-leading, with an impressive top speed of over 100 mph and handcrafted luxury. Dr Wolfgang Schreiber (54), an engineering graduate, joined the Volkswagen Group in 1984. He was made head of transmission and drivetrain development at the Volkswagen brand in 1996. His responsibility during that time included the development of transmission and drivetrain components for the Bentley Continental GT and Arnage. He moved to Bugatti Engineering in 2003 to take up the post of Technical Director and later Managing Director of the supersports car company over the next eight years. Schreiber became the member of the Board of Management of Volkswagen Commercial Vehicles responsible for development in September 2006 and was additionally made Speaker for the Board of Management in February 2010. JACKSONVILLE, Fla., July 30, 2012 /PRNewswire-iReach/ -- Global HeavyLift Holdings, Inc., a Delaware incorporated transportation logistics firm involved for the past decade in creating a blueprint of architecture for infrastructure necessary in the establishment of a new globe spanning US-controlled industry, Heavylift based on very modestly modified Boeing C-17 Globemaster III's military transport aircraft, today revealed that its Managing Director, Myron D. Stokes, coordinated this past March 2012 with air transport entities Kalitta Air, DHL UK/Bahrain/Bagram, AviaPartner and Fast Forward Freight Belgium a believed unprecedented end-to-end private airlift relief mission to the refugee camps in Kabul, Afghanistan, from his wife Deadra's bedside at Mayo Clinic Jacksonville. 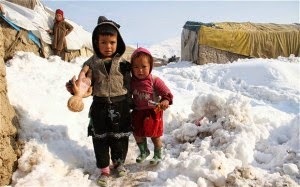 "The mission was primarily in response to the excellent reportage of New York Times correspondent Rod Nordland (enhanced by the powerful and moving photography of Andrea Bruce) along with that of the BBC's Andrew North earlier this year, revealing dozens of freezing deaths of children owing to a lack of heating fuel and warm clothes in the Kabul camps during an unusually cold winter," Stokes said. " Relief of the camps was profoundly problematic owing to a near complete breakdown of communications between the US and Afghanistan governments, threats from the Taliban to step up attacks on all western personnel and facilities following the Quran book burnings at Bagram Air Base, and the killing of 16 Afghan civilians by a US soldier. "Nevertheless, some caring people were not willing to let another child die from unrelenting cold, and British Afghan Women's Society Director Zarghona Rassa was one of them." Rassa, a longtime journalist reporting on the plight of women in Afghanistan, approached Global HeavyLift's Director of Middle East Operations Benjamin Ballout, who, after discussions with Ed Corcoran of Global Security and Jobs For Afghans' Ralph Lopez, recommended the mission. "Ben simply called and said, 'We really need to do whatever we can to assist', and that was the trigger", Stokes said. It the midst of a mission strategy coming together, Stokes' wife, recovering from her third intra-cerebral hemorrhage in June of last year, and for whom he had been pursuing the creation of a case study with several research institutions, had to be emergency transported to Mayo. "Since personnel from all of the air cargo entities working with us from around the world were already in mission launch mode, and I was taking the lead, I approached attending physician Dr. Vandana Bhide, who along with Dr. Wendelyn Bosch, were caring for Deadra this visit, and advised that she and the nurses were going to be hearing strange conversations in the hospital room, thus needing their forbearance and cooperation. Dr. Bhide's response to this was surprised, but positive. "As I was explaining to Dr. Bhide in detail the mission objectives, Zarghona Rassa called from the refugee camps after arrival from London." After requests for donations across the UK and world, the British Afghan Women's Society gathered over 2,000 kilos of children's clothes and blankets, the goods were transported via DHL/UK trucks 168 miles from Society headquarters in London to a waiting Kalitta flight at Liege Airport, Belgium, which departed 0745 ZULU/24 March 23. After a brief stop in Bahrain wherein the shipment was transferred to a DHL flight, the relief materials arrived at Bagram 0500z/24, March 24. Subsequent to a March 31 news conference, the goods were dispersed to waiting families by people they knew and respected. "At the recommendation of our in-country coordinators, the ground mission was Afghan to Afghan, in the interest of allowing those in the camps, despite the squalid conditions, to maintain their dignity," Stokes said. 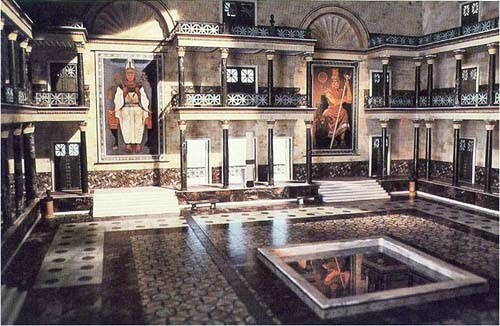 "These are an ancient and proud people who gained the respect of no less than Alexander the Great." Stokes said of the complex logistical team working together, "Not only were they happy to do this, they were excited. We can't thank the aviation professionals like Pete Sanderlin, Sean Pryce, Thomas Henry, Emil Pando, Mohamed Durgana, Benjamin Seamans, Heath Nicholl, Diana Bean and Connie Kalitta of Kalitta Air; Susan Westlake and Doug Choyce of DHL UK, Nick Mariano, DHL-Bagram, Ebrahim Abdulla and Sami Juma, DHL-Bahrain; Bob Swindens and Aurelie Seron of Fast Forward Freight Belgium; Menno Van Goch and Stef Lemmens of IAS/Kalitta Belgium and innumerable others, enough for this extraordinary effort that moved significant relief goods across the world into a conflict zone in record time. Even more significantly, I believe this represents a new humanitarian resource transport model that has demonstrably removed, via this mission, the typical and often frustrating complexities for moving such goods to the critical point of utilization. "Of course, none of this would have been possible without the cooperation of the Bagram base personnel under the command of Maj. Gen. Darryl Roberson, USAir Force", he concluded. Stokes says he has to reserve special praise for the ground team in Kabul which required precise coordination between DHL-Bagram's Nick Mariano, British Afghan Women's Society Director Zarghona Rassa, Sameer Ahmad Mastoor, the transport convoy co-organized by Shahir Zahine of Development Humanitarian Services of Afghanistan (DHSA)Najim Dost, and NYE Express Marketing Director Sayed Hanif Ghanzafar. "The flexibility and resourcefulness demonstrated in the face of rapidly changing circumstances associated with pick up at Bagram Airfield to delivery and storage at the NYE Express warehouse is the stuff of movies", said Stokes. We'll be re-telling the story for the rest of our lives, I think. And, I don't believe that Oprah Winfrey's producers could find a grander example of strong, brave and resourceful women like Zarghona Rassa." Speaking of strong women, Stokes advises his wife is now back in Mayo, but making measurable progress. "I still seek", he says, "a research facility here or abroad willing to take point on a proposed multi-institutional study that may not only provide clues as to why the catastrophic hemorrhages occurred, but how she survived. She represents, I think, not just a teaching moment, but a teaching decade that may help countless others. "We therefore dedicate this successful Afghanistan mission to Ismail, the youngest of those succumbing to the cold at 30 days old, and to my wife Deadra." SOURCE Global HeavyLift Holdings, Inc. Founded in 2002, Bloomfield Hills, Michigan-based GHH is a strategic air transport solutions entity that was born of a multi-year public/private effort (Commercial Application of Military Airlift Aircraft-CAMAA ) among forward thinkers in both the private sector and government to mitigate emerging and observable vulnerabilities in the U.S. industrial base global supply chain. Such vulnerabilities are represented by the fact that no ocean-borne shipping is in U.S. hands at present, thus potentially subjecting American corporations, especially automotive, and their global operations to the whims and perhaps economically hostile activities of and by foreign governments. Add to this the risk of terrorist activities, which have, according to the Department of Homeland Security, targeted maritime operations; i.e., ships, ports and ocean containers. Incorporated in Delaware and Defense Logistics Agency (DLA) listed, (CCR.gov) it is the goal of GHH and its strategic partners around the planet to work with key logistics personnel within these corporations and government agencies to conceptualize, craft and structure long-term global supply chain alternative transportation methodologies through continuous — not stop gap or emergency — air augmentation solutions. Its most important mission, however, has been in the co-development of global architecture for infrastructure of a new American controlled industry, Heavylift, utilizing the excellent airlift performance characteristics of the Boeing BC-17. Chongqing, Peoples Republic of China – (eMOTION! 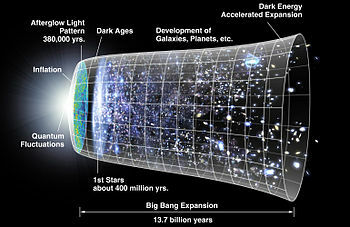 REPORTS.com) The following statement was issued by Chongqing University Astrophysicist Dr. Andrew W. Beckwith in response to the recent announcements concerning possible discovery of the Higgs-Boson, commonly known as the “God particle”. “As a professional physics researcher, I congratulate CERN in its invaluable dedication to the solution of the Higgs-boson problem. This note will not be to scold the CERN researchers but to outline the very hard work ahead as to a solution of the TOTAL Higgs-boson problem, which needs to be carried through in an organized manner. "First of all, I will review the history of the Higgs mechanism for spontaneous symmetry breaking and what is known as to outline as to the formation of mass problem in the electro weak case: In doing this line of inquiry, we look at the additional fourth order term added to form a modified Lagrangian term. Beckwith says that while this discovery may not be elusive Higgs Boson, it is most certainly a close cousin. “The basis for symmetry breaking involves a true versus a false vacuum, in physics: Very difficult to duplicate conditions for such arising in CERN. 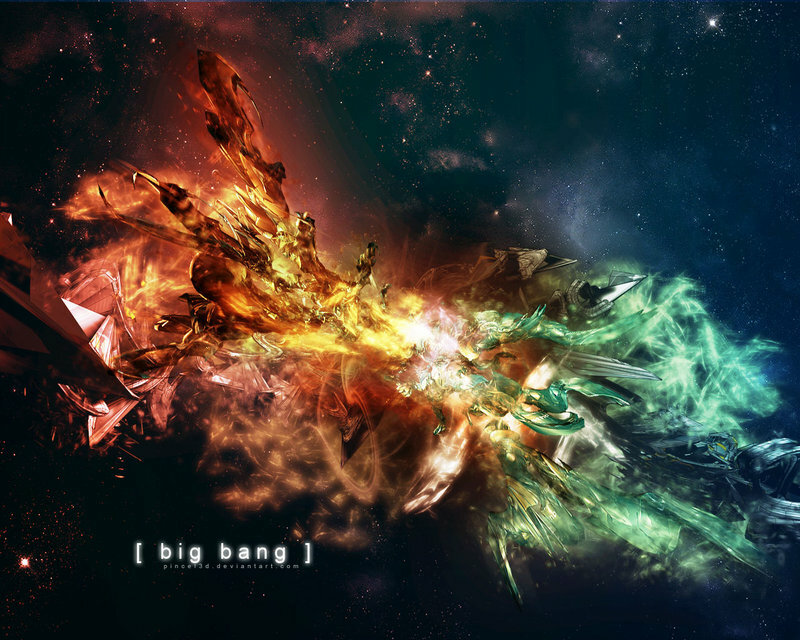 "Getting mass formed this way, for the Higgs formation, is a fantastic feat when seconds are involved. By necessity, considering the seconds involved, plus the fantastic heat involved will mean that imprecision will be rampant. Saying that one has a particular MASS for the Higgs, considering the time duration, seconds or less, and also the heat values involved will require decades of work. Note that Higgs himself derived these sorts of procedures and extended it to a Higgs-boson 50 years ago and to this day he is overwhelmed by the attention given to this construct when he was a very young Graduate student. And note the ratio values obtained by computation 4 will be part of the experimental considerations of the Higgs, in terms of a true vacuum. Dr. Beckwith is very clear in understanding the significance of the work at CERN. "I and my colleagues congratulate CERN on a magnificent technical achievement, as beginning to delve into the formation of mass. We submit though, especially in lieu of the fact that the difference between the false and true vacuum results comes about due to for the true vacuum as a ratio result, that CERN has BEGUN to work developing a fantastic achievement in future astro-particle physics . We do wish to point to the fact that the authors 15 days ago in a re-release of data presented last year at science conferences in Philadelphia and San Marino, North Italy, gave evidence of where to go, and that this should be part of the general record." An enabler of Interstellar Travel? “We are now at a cusp of human history,” notes Beckwith, “equivalent to the discovery of fire, hundreds of thousands of years ago, and for a very unexpected reason. For the first time in human history, we are at the point where an analysis of false to true vacuum transitions, the entire nexus of symmetry breaking and the formation of mass in the early universe is enabling scientists and technologists the foundations of space time geometry. This could lead to within 50 years to developing appropriate technology for star travel and to genuine space ship ventures to the neighboring solar systems. At stake is to understand what approach closer to the idea of an interstellar ram jet, similar to the Bussard with tweaking will work. “In order for a Bussard Ramjet to really work, it would require a fundamental improvement upon what is called the CNO cycle (for carbon–nitrogen–oxygen) as one of two sets of fusion reactions by which stars convert hydrogen to helium, the other being the proton–proton chain. I.e. an even bigger release of energy would be required. The good news is that the Boson discovery will permit investigations as to what would be optimal conditions as to a release of fusion energy, in a way not conceived of by the Bussard 1960 proposal. 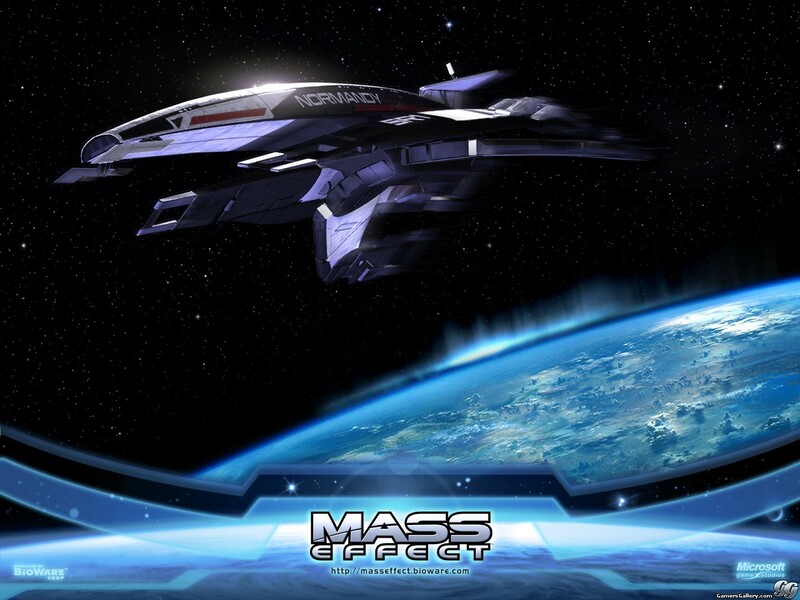 Paying homage to the immensely popular interstellar game saga "Mass Effect", Beckwith wryly notes. "Shepherd should get his gear." eMOTION!REPORTS.com, founded in 2001, is an automotive/aerospace industries site targeting professionals within the academic, media, corporate and government sectors. 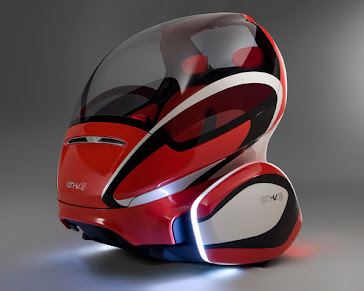 Additionally, a vehicle has been created through which white papers such as "Crisis on Asimov: A Vision of 2085"[Dr. Sheila R. Ronis]; "Super-Globalism: Strategies For Maintaining a Robust Industrial Base Through Technological, Policy and Process Improvement", “Quantum Parallel: The Saint-Hilare Quasiturbine as The Basis For A Simultaneous Paradigm Shift in Vehicle Propulsion Technologies” and other scholarly works, can be presented to a broadened, yet specific, audience. Publisher Myron D. Stokes is an Award Winning Newsweek, Newsweek Japan and Newsweek International special correspondent.